Er … I didn’t mean that. Wait (no pun intended) … yes I did. Don’t take this the wrong way; allow me to clarify. Your potential customer is in the beginning stages of the buying cycle. Completely unaware of any of the brands and companies he has to choose from. When you just happen to appear in Google with a compelling meta description — your customer feels compelled to click; so far, so good. So he clicks on your website and waits … and waits … and gone. On to the next company listed in the search results, which, let’s face it, is comparable to yours in the searcher’s eyes because he doesn’t know any different about why your company is superior; because, whoops, he couldn’t see your site. There’s another customer you just lost to your competition. 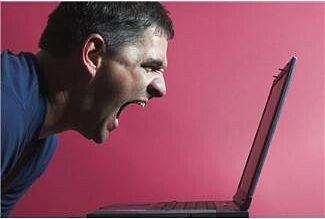 We all know how frustrating it is when we have to wait even a second for a webpage to load. In fact, if we’re being honest, we’re hitting the back button before we can say “hurry up” and clicking on the next result in Google. Consider your personal web usage behaviors. Users want a website in a matter of seconds. Actually I take that back, they want it now. Actually … they want it faster than now … they want it 2 minutes ago. I don’t think it’s necessary to find someone who can attest to this … in this day and age, it’s safe to say this is common knowledge; instant gratification is the name of the game. Since Google’s main objective in any algorithm update is to display results users want, updates continually reflect what the users want. Google places value and emphasis on what users find important. And users like fast … real fast. Faster sites create happy users … and happy users turn into happy customers … and happy customers turn into loyal customers … and loyal customers turn into increased revenue for you. Convinced yet? In other words, an optimized website is fast. And if your site’s not fast, it can affect its overall ability to rank well. Obviously Google has tons of ranking factors, and site speed is merely one, however, every little bit helps right? Plus, if not for SEO purposes, think of conversion rates; which is ultimately why you’d be focused on SEO in the first place, is it not? If a user gets frustrated and leaves your site, your conversion rate drops. The slower your site is, the more visitors you’re likely to lose. Users have the luxury of finding another site offering comparable products and services to what they would find on your site … if they could get it to load faster. (It’s called your competition’s website). Users don’t have much patience, if any at all, when it comes to waiting for a page to load. They aren’t used to waiting, and expect they won’t have to. Give the users what they want … it’s a mutually beneficial relationship. So say a user attempts to load a page on your site and decides it’s worth waiting for initially. The page finally loads, but they’re done with that page and decide to mosey on to another page within your site, or better yet, hit the order button. Only to experience more waiting. Another order lost to slowness and frustration? Let’s face it, when a site responds slowly, visitors spend less time there. It really is as simple as that. If customer service is at the core of your business, and I’m assuming it’s safe to say it is, don’t be the source of user frustration. Usability factors into the equation too. If you have certain capabilities and functionalities that aren’t, well, functioning, I wouldn’t be surprised if your potential customers are dropping like flies. In a day where consumers are bombarded with options — you have to compel (get them to your site) and captivate (keep them there). Even if it’s not the most significant portion of the overall algorithm yet, you can rest assured knowing it will only be more of a factor in the future, and when that time comes, you’ll be ready for it. What makes me so confident of such a bold claim? In May, Google Analytics came out with a site speed report option. 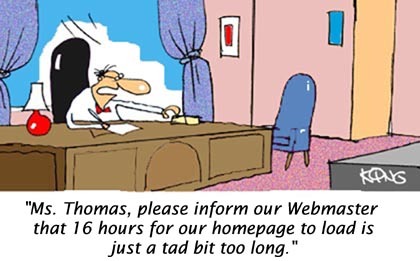 Now webmasters can more easily find out which pages are the slowest on a site, which browsers are the slowest and more. Webmasters can find out their site’s speed in Google Webmaster Tools as well; under Labs > Site Performance. I likewise encourage you to take advantage of the page speed tools available, literally, at your fingertips. Not only does site speed impact your SEO efforts, it also impacts your landing page quality in Google AdWords. If you have a PPC campaign, you’re familiar with Quality Score. One of the factors of quality score is the quality of your landing page – and a quality landing page is, you guessed it, fast. So now you’re probably wondering what you as a webmaster can possibly do to ensure your site is at optimum speed, right? And if you’re not, you should be. Don’t fret; the answer is simple: minimize. Simplify and you’ll be sitting pretty (in the search engines). Get rid of outdated, unnecessary code. Compress data. Take advantage of external files, and keep your external files to a minimum. Keep redirects to a minimum. Format images for the web. You’ll be glad you took the time to save your potential customers’ time. So, this isn’t really a new idea. Google’s mission has always been to make the web faster. In fact, out of the ten principles guiding each action Google takes, speed is #3. It is that important.